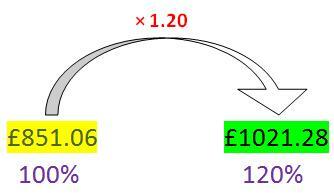 The Secret Garden of Maths » VAT increased to 20% – is it worth panic buying? Home > Uncategorized	> VAT increased to 20% – is it worth panic buying? VAT increased to 20% – is it worth panic buying? The coalition has announced that VAT will increase from 17.5% to 20% on January 4th 2011. A TV is advertised at £1000 including VAT at 17.5%. VAT is increased to 20%. What will the new price tag be? The TV’s advertised price was £1000. This included VAT at 17.5%. What was the wholesale price before VAT was added? 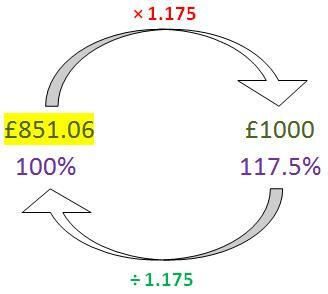 The shopkeeper took the wholesale price and multiplied it by 1.175, which gave the answer £1000. So the new price would be £1021.28, not £1025 as might be assumed. 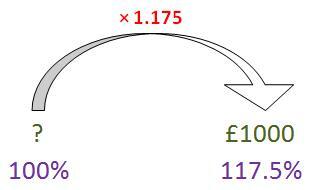 So it transpires the 2.5% increase in VAT actually only increases the prices you pay by about 2.1%. So is it worth panic buying for the sake of 2.1%? In my experience, half an hour spent shopping around on the Internet will almost always reveal a better deal somewhere. Prices of electronic goods are falling all the time, so wait another month and that telly you had your eye on might even be superseded by a newer model, meaning the price of your prized telly might drop anyway. My recommendation is to be patient. Plan ahead, but it’ll be January sales anyway and people will all be going shopping mental. In reality they add around 200 – 300% profit for big brand items like Sony etc but only 10% on some cheaper own brand items ! so are you really getting better quality buying better known brands and remember those that make the big brands also make the own branded items for these stores – using the same components and just a cheaper look to them – style over substance ?